Turnitin is a plagiarism detection tool, allowing instructors to detect potential plagiarism by “comparing students' work against the world's largest comparison database. An Originality Report is generated in a matter of seconds.” Fresno Pacific University is committed to preserving academic integrity. Students should presume that all their written work will be checked against international electronic databases of student work and published sources to detect plagiarism. These electronic databases often add the submitted material to their sources to compare against other student work. Faculty may require both digital and hard copies of assignments to facilitate the evaluation. By submitting assignments, a student agrees to these processes. The University has a site license and the Turnitin software is integrated into Moodle. Faculty may create Turnitin assignments in Moodle to take advantage of the Originality Checker, GradeMark and PeerMark services offered by Turnitin.com. 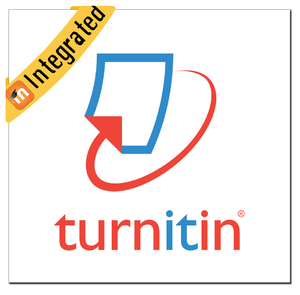 Access the links below for instructions on how to set up and use Turnitin in Moodle. Faculty are strongly encouraged to use Turnitin through Moodle as this minimizes potential duplication of user accounts. Faculty who wish to use Turnitin outside of Moodle may contact the Center for Online Learning for information on how to set up a student submission area for their course.